Looking to visit Sri Lanka? Then why not hire out a tuk tuk and drive yourself around! That's what we did, and here's exactly how you can do it too! When we decided that backpacking Sri Lanka was going to be our next big adventure, we needed some way to help make it a truly unique experience. Well, the opposite just so happens to be true … for both of those things! In turns out that renting and driving a tuk tuk in Sri Lanka was by far the best decision we made when there! It ended up being the most fun thing to do in Sri Lanka and we would highly recommend the experience to anyone else looking to visit. We hired our tuk tuk in Colombo from a company named TukTuk Rental. Imaginative right? We did a lot of research beforehand, much of which I will cover below. 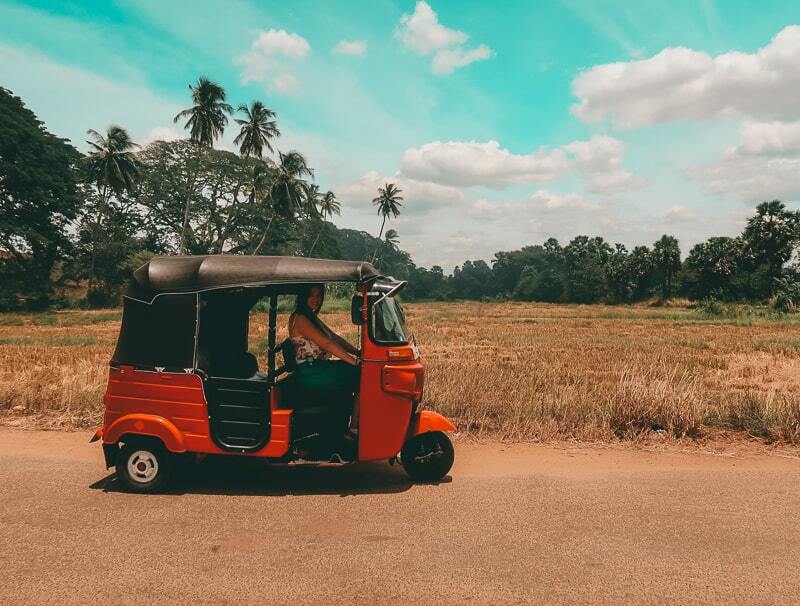 So if you're interested in finding out more about how you can rent a tuk tuk in Sri Lanka, then you can find out everything else you need to know in a bit. 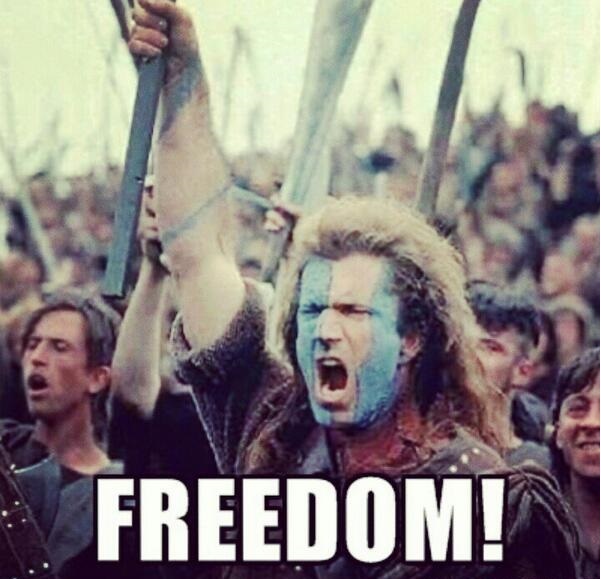 For now … back to our journey! So, we ended up hiring our tuk tuk for a total of 24 days, which proved enough time to drive her all across Sri Lanka. And, I'm not talking East to West and back. Im talking, everywhere! You name it and we went there! In fact, you can read more here about our exact 3 week Sri Lanka backpacking route. But what proved so amazing about renting and driving your own tuk tuk in Sri Lanka is not the actual destinations you visit. Instead, you get far more out the journeys to and from each of these awesome places. Instead of seeing a few of the major tourist waterfalls in Nuwara Eliya, you get to see them all! Instead of choosing just one tea plantation to visit, you can stop of at as many as you want. 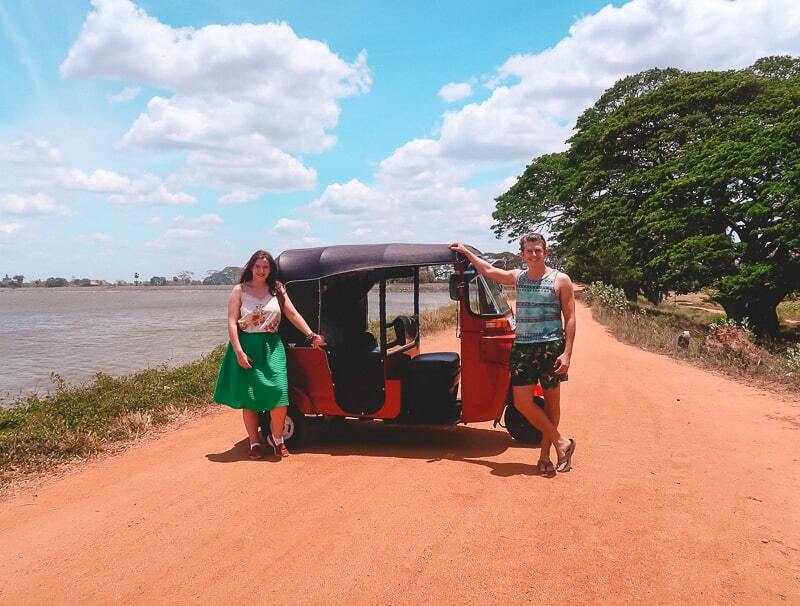 Rather than paying for an expensive safari near Kataragama, you can take your own tuk tuk safari! Yes, it’s always nice having someone else driving you about, but you miss out on so much! And I honestly believe Sri Lanka is the perfect place to get your own set of wheels to explore. As long as you don’t mind driving 4 or 5 hours between each place, then there’s no reason not to. The experience is liberating and some of my favourite memories came from stopping off at random locations and meeting local people and taking pictures with them. And yes, this will happen a lot! 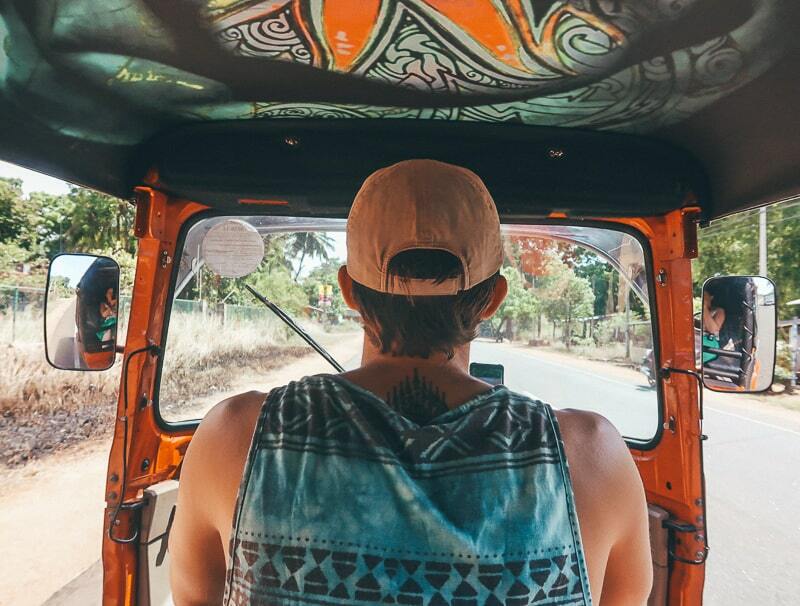 Though renting and driving a tuk tuk in Sri Lanka is becoming increasingly popular, the local Sri Lankans still aren't used to seeing foreigners driving tuk tuks. So you’ll often get asked to take your picture with someone or their kids. 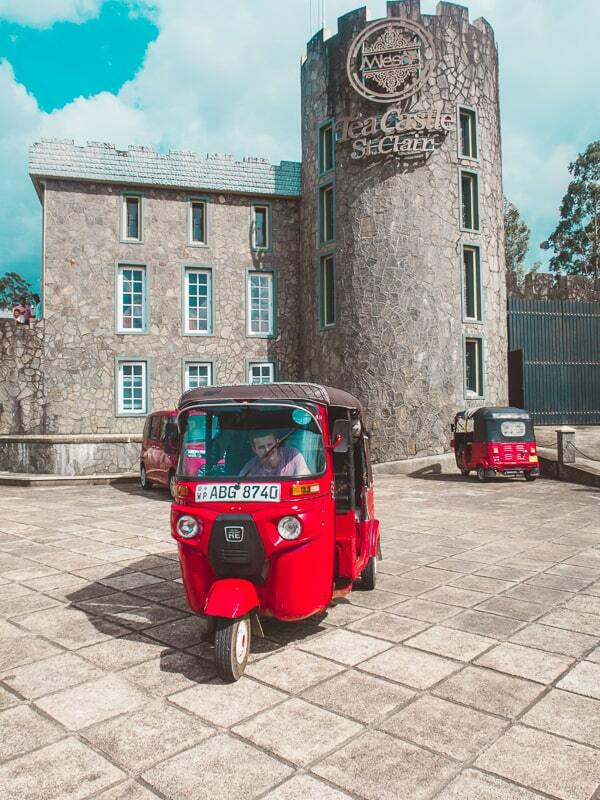 Why would you want to ride a tuk tuk in Sri Lanka? But yeah, you are in complete control of how long you stay in one place and when you leave. You’re not stuck to any timetable or bus schedules and you decide how long it takes to get from one place to another. Though I will say that tuk tuks are by no means fast! The speed limit is 40km an hour. I discuss this more below but you will need to adhere to this most of the time, as police are about. For us, it was just so nice not having to immediately book our way out of somewhere once you arrive. Instead, if you want to stay an extra day surfing in Arugam Bay, then stay! Driving a tuk tuk in Sri Lanka honestly was the most fun thing to do in the country. Especially when you have a nice coastal road to enjoy, like coming down the East coast from Mullaitivu to Trincomalee. The sun's out, there’s a breeze rolling through and all around you are surrounded by breathtaking scenery. As mentioned earlier, there’s also so much fun to be had just by waving to locals and seeing them smile when they see you. Yes, you are capped at going at 40 km/hour. 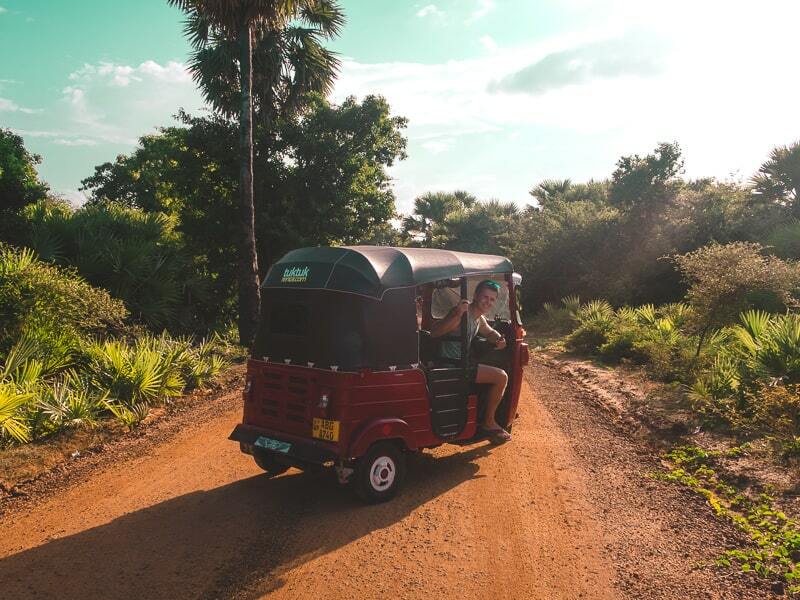 However, when you factor in not having any need to wait around for buses or booking accommodation, it is possible to save time by having your own tuk tuk. Especially seeing as you can go direct from place to place, without having to take any detours that buses would usually take. How many people can say that they’ve driven a tuk tuk!? And how many can say they’ve used one to drive across an entire country!? Personally, I think that’s pretty cool. This will raise a lot of eyebrows and no doubts garner a bit of hatred from some. In fact, I’ve received more than a few angry response from keyboard warriors on Facebook groups who criticize me for saying this when I’ve promoted the idea to others. So I’ll tell you why I believe it to be safest, and you can make your own mind up. 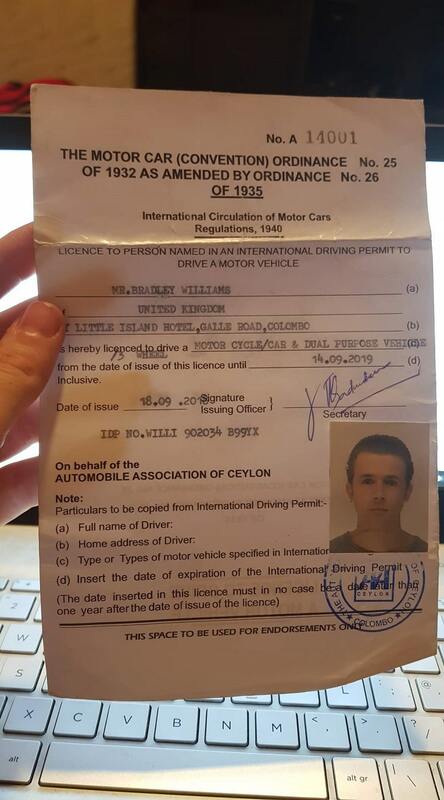 First off, if you are honestly a good driver who is self-aware and does not break the rules, then renting and driving a tuk tuk in Sri Lanka is no more dangerous than driving on your roads at home. Yes, the roads in Sri Lanka aren't always the best and neither are many of the drivers. However, because you are limited to just 40km an hour, you should never be going so fast that you can’t stop in an emergency. Finally, the other modes of transport in Sri Lanka are by no means “safe”. Every single bus is incredibly old and worn and the bus drivers drive like absolute lunatics (this is not an exaggeration). Because they are the biggest vehicles on the road, they oftentimes force other drivers off the road and overtake other buses around bends. Before hiring or paying for your tuk tuk, check it is up to scratch! How do you get a tuk tuk driving license in Sri Lanka? OK, so locals don't actually call tuk tuks, yano … tuk tuks. Instead, they are “three-wheelers”. And so you have to get the necessary license that lets you drive 3 wheelers. To do so you need to first secure your International Driver’s License before leaving your home country. If you are from the UK, you get this by visiting certain branches of the Post Office, filling out the necessary forms and then paying £10. Then, to get your three-wheeler conversion, you have to go visit the AAC (Automobile Association of Ceylon) office which is in Colombo. You go in, head up to the third floor (I think) and then tell the receptionist what you want and she will give you the form to fill out. Make sure you have a passport photo with you, as well as your passport. You then go in and see another woman who processes things and then tells you to go to the counter and pay 3,600 LKR (a little over $USD20). You then take this receipt back to the woman (or man) and they stamp your passport. BEWARE: Make sure they stamp it saying “MOTOR CYCLE/CAR & DUAL PURPOSE VEHICLE /3 WHEEL“. We left and went to pick up our tuk tuk, which was a 30 minute drive away, only to find out she had not stamped the form correctly! I then had to drive back up through Colombo (which is crazy busy) for 30 minutes to get them restamped and then drive back down again. Absolute nightmare. There’s a picture below of what your license should look like. Alternatively, you can ask your rental company to do this for you. For us, this would have been $USD 40 per person. I’ve discussed this above. But to reiterate, I honestly don't think driving a tuk tuk in Sri Lanka is dangerous. As long as you drive sensibly and follow the rules listed above, then you will be absolutely fine. Is it hard to drive a tuk tuk in Sri Lanka? At first, I was absolutely s****ing myself about driving the tuk tuk once I first got behind the steering wheel (or, more accurately, handlebars). I've driven all types of cars and mopeds all around the world, but none of that prepared me for using a tuk tuk. They work through a system of manual gears in the left handle and I instinctively kept reaching for the clutch with my left foot. Our company gave me a quick 15 minute lesson before sending us off for 3 weeks, and that certainly didn't seem like enough! Worse of all, as soon as we set off, I had to drive for half an our up through Colombo which, as you'll soon find out, is one of the worst cities in the world to drive in (this is not an exaggeration by the way and I’ve driven in a lot of crazy cities). But yeah, in the end I got on OK and ended up driving for 4 hours up to our first stop for the night! Which is pretty impressive, and stupid, so probably wouldn't recommend that on your first day. So yeah, what I’m trying to say is, even if it feels really foreign at first, don't panic. It’s natural that you will stall it a lot when starting out, but just be patients and calm. You will get the hang of it. And when you stall it at traffic lights and everyone starts beeping you (which will happen) just stay calm and block them out. Panicking won’t get you anywhere. 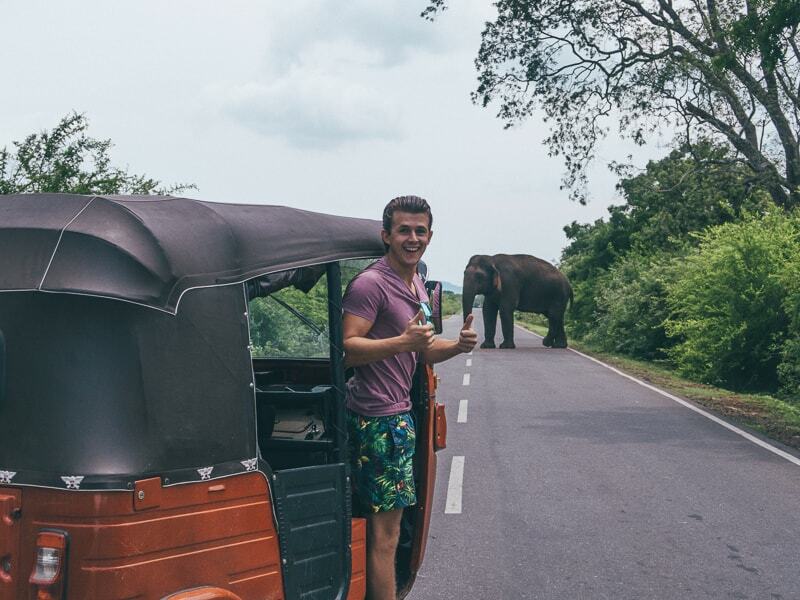 How expensive is it to hire a tuk tuk in Sri Lanka? OK, so you want to know how much we paid. Ok, ready …. So across the 24 days we had it, we paid a total of $432. Which is both expensive and isn’t at the same time. It isn't expensive compared to the cost of hiring a vehicle in most western countries and is good considering we got a good quality tuk tuk from a trusted company and had no hidden expenses. The price per day depends on how long you take it out for. It’s hard to find other companies online that offer tuk tuks for rental in Sri Lanka, but I think that price isn't far off what other “westernised” countries charge. The company we hired from, TukTuk Rental, apparently give 50% of all bookings to local tuk tuk owners as they don't actually own the tuk tuks. So they are a social enterprise. I hope this claim is true, which means that at least the high price you pay is helping locals out. But as with most things in Sri Lanka, you can never be 100% sure where your money’s going. 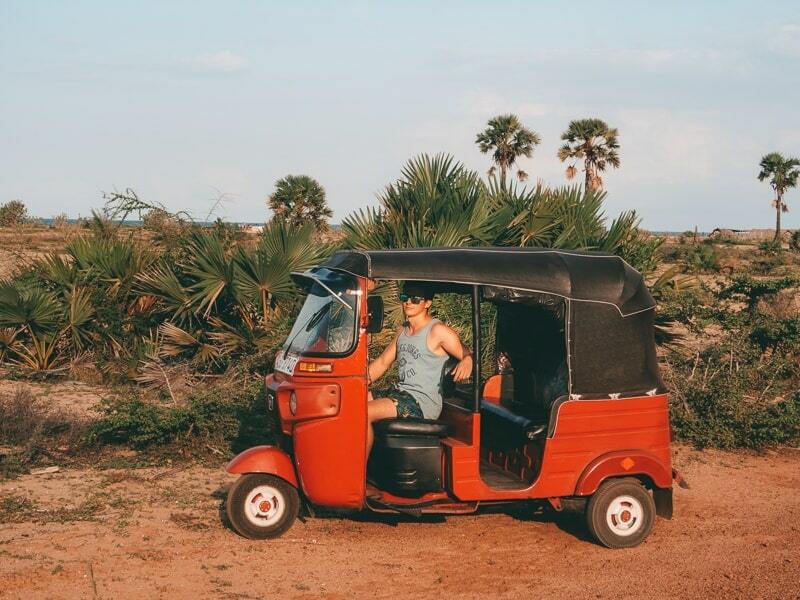 Can you rent a Sri Lanka tuk tuk any cheaper? The cheapest way to do it is to just approach a bunch of local tuk tuk drivers and ask if they’d be willing to rent you theirs. We never spoke to anyone about this, but only read about it online. Apparently, most 3 wheeler insurance in Sri Lanka covers any driver, so you're covered under that. I can't comment on this. Instead, here is an article that might be of interest to you. How much is fuel in Sri Lanka? One of the great things about Sri Lanka is that the price of fuel is fixed nationwide. This means that you never get ripped off and only ever pay the same price. When we visited (October 2018) it was something like 140 LKR/litre. So about half the price of fuel in the UK. Meaning that driving your tuk tuk across Sri Lanka is very cheap and you'll only spend a few dollars on fuel between each stop. Where can you hire a tuk tuk? As discussed, you can either find a tuk tuk rental company (use Google) or speak to locals when in Sri Lanka. 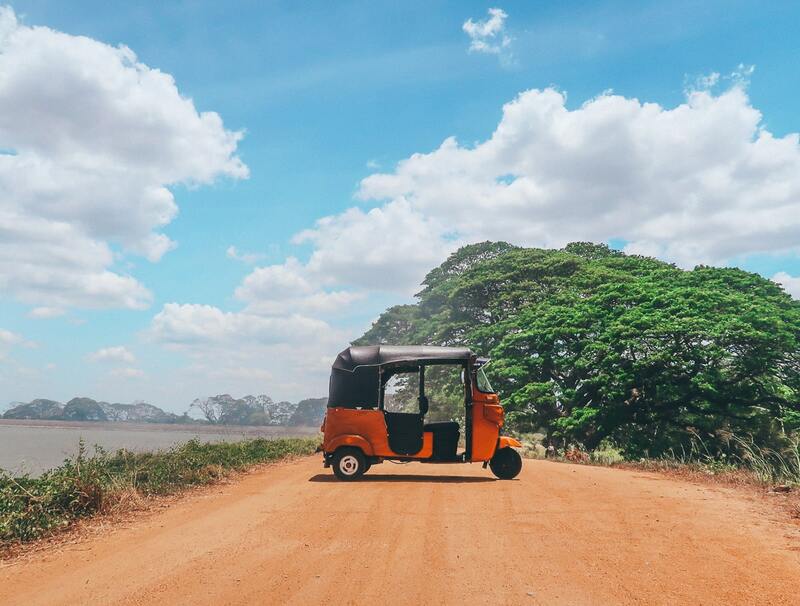 Is it possible to buy a tuk tuk in Sri Lanka? They cost a good few thousand dollars, but you’d definitely be able to find someone willing to sell. If you’re ballsy enough to do this, please do comment below and let me know! This all depends on how you hire your tuk tuk. But if you do choose to hire from an agency, then check online to see what people are saying. As in, whether or not the company actually has insurance for if and when an accident has occurred in the past. Will you get stopped by the police? Because you are white, the police are more inclined to pull you over simply because they know you can afford to bribe them with a lot more money than a local could. We got stopped 5 times in the first 4 days (3 stops within 30 minutes) and then never again. None of those were because we were breaking the speed limit. It was simply because they wanted to check our documents. And, in my opinion, to hopefully try and get a bribe out of us. FYI, if you ever do have to bribe a traffic officer for speeding or whatnot, then apparently the going rate is 500LKR. I wouldn't know as we never had to. But this is what local Sri Lankan friends told us. Though it doesn't sound like a lot, bear in mind that the wages for police officers in Sri Lanka are about $125 per month. As another side note, you will see both police officers and traffic officers very regularly along the side of busy main roads between major cities. Though they may both look the same, you can distinguish a traffic officer by the white sash across their front. 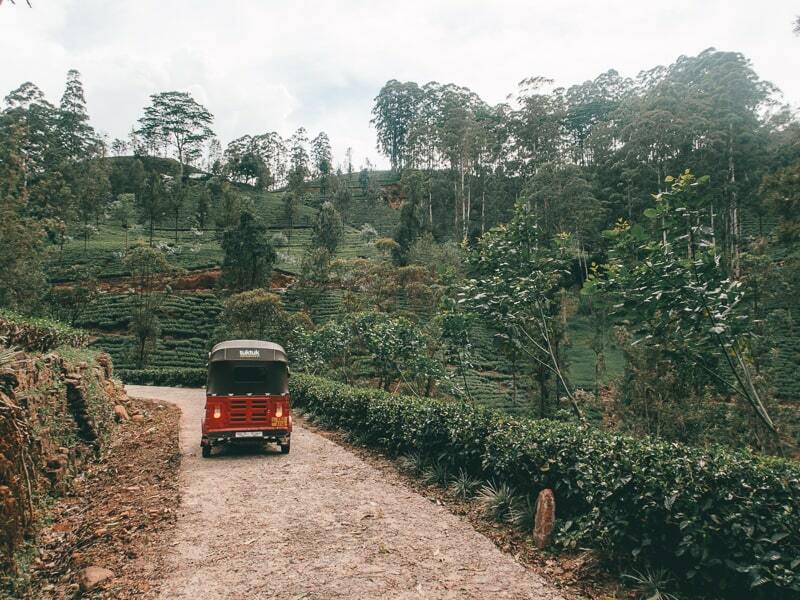 If you have any more questions about hiring and driving a tuk tuk in Sri Lanka, then let me know below! I would highly recommend doing it if you have the chance. It honestly did help make our time in Sri Lanka truly incredible and we will certainly do it again next time we return. Which hopefully isn't too far in the future!